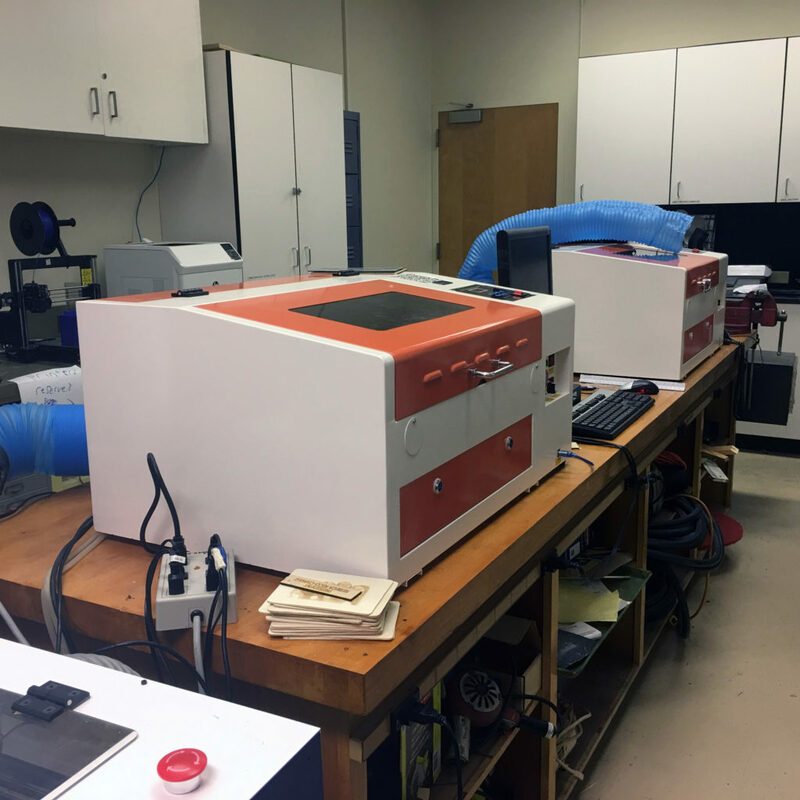 The laser engraver in the ARC Design Hub can be a learning process to new interns. During the first couple weeks at the design hub we train and teach our interns how to use and/ or the purposes the laser can do for us. We are still new to laser but we always will find new tactics on how we should operate the laser. Either finding the right settings or experimenting on pieces of scrap materials to see how it will turn out. What does the laser engraver used for in the ARC Design Hub? What can we make with the laser we have? Here in the Design Hub we currently are using two laser engravers in the back of room 311. The laser Engraver is used for ton of projects for our clients and personal uses. Designers here at the Design Hub create wonderful projects to help support the hub with their creativity. Just like the Retopo Map blog we did awhile ago, they used the laser for that project. Interns are able to used the laser for personal projects to create unique types of physical merchandise. What types of merchandise or products can you use to make stuff here in the Hub? 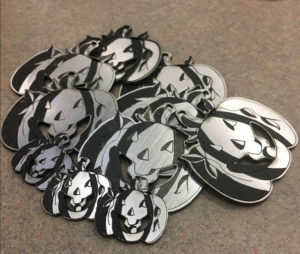 The types you can make in the laser engraver is the following: Sketch book covers, key chains, ornaments, etc. Let your creativity wonder around the ideas of creating wonderful types of pieces out of any materials like wood and plastic. Although, It can also be used for educational purposes like making flash cards out of plastic or making pieces for a game board for and educational game. How does the laser function and how can you get a decent design without it melting or making the design look weird? Muhannad Abbas, who is very well experienced and excellent with the laser made these templates out of wood and plastic. The templates shows how the laser reacts to the type of material it touches depending on the shading of the grey is being used. Too much power on the laser with a really dark color may burn the wood or melt the plastic. 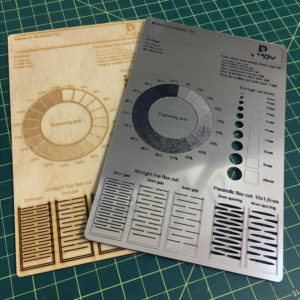 With the used of this template the designers are able to understand how the laser works and how much they need to make their projects a success. How can people outside of the Design Hub apply or request stuff to get printed? On the ARC Design Hub Website we have a work request area. This area your able to request projects that our interns can print out for you. Their are examples and a request form to get started!